For six weekends in a row in May and June, we'll be hitting six cities in America giving you the chance to Come Up! We've got Official Headwear, DC Footwear, Asphalt Yacht Club, Bones Wheels, Independent Trucks, Stance, Dakine, Windell's, Mob Grip, and Arizona Iced Tea ready to hook you up with tons of gear and tons of coverage, including your chance to get a Check Out in the mag! So come out, have fun, and Come Up! To see the full list of stops and locations, click here. 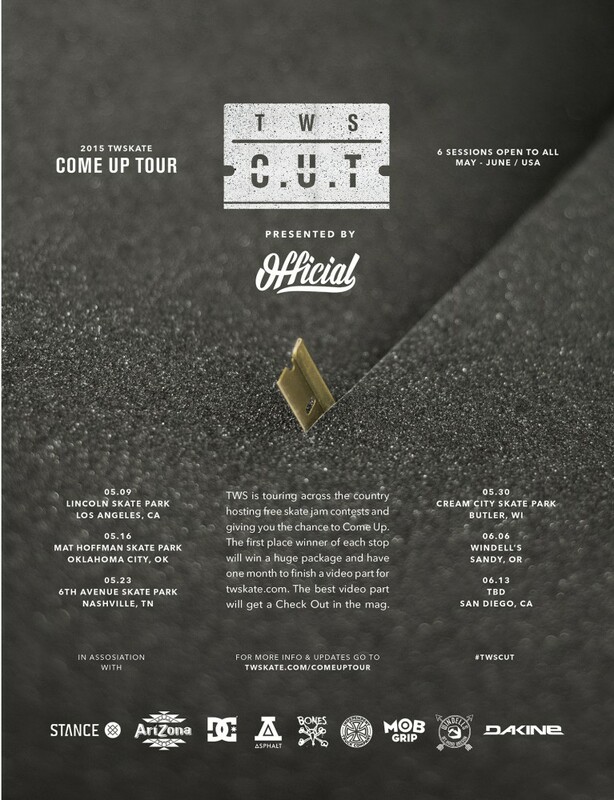 And follow the conversation with #TWSCUT.